Being a garden lover and dealing with the unpredictable nature of the Australian climate can be frustrating. One minute it can be bucketing it down and your garden is looking healthy, green and lush and the next you can see no rain for weeks, your lawn starts to go brown and your plants start to wilt. When the weather turns drier, how many of us head out there with a watering can to give our plants a drink? Or get the hose out to spray the lawn? No-one likes to see the garden we have invested so much money in planting and tending, succumbing to the harsh elements and turning brown. The problem is that hand-watering just isn’t as effective as the water doesn’t really penetrate deep enough into the ground with sporadic watering. The most effective way of helping plants and lawns to thrive is regular, even watering. So what the top 5 benefits of installing a garden sprinkler system? Contrary to popular belief, using a sprinkler system is actually a more efficient use of your water. It’s a bit like the difference between a bath vs a shower. We all know that a quick shower uses less water than a bath and so it is with a sprinkler system. Some systems also come with automatic timers and rains sensors to ensure your garden receives just the right amount of water. Most of us are increasingly time poor nowadays and while some may see watering the yard as a relaxing pastime, many of us would prefer to be doing other things. With a sprinkler system you can ensure all the important areas of your yard are getting the right amount of water at the right time of day and the right frequency so you can make the most of the time you do have to get out there and enjoy it. 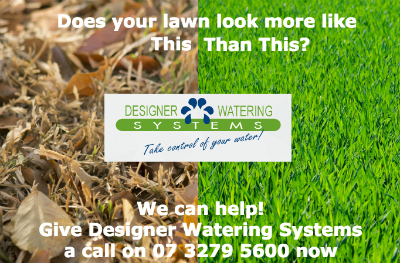 While the initial investment of installing a sprinkler system may seem quite high, in the longer term you are likely to save money on your water bills, especially if you are regularly hand-watering as you will be using less water to achieve a better outcome. Plus you won’t be regularly replacing plants that have succumbed to the dry conditions. Keeping our yards well-watered helps the native Australian flora to thrive as well as the plants we have invested in planting. So many of us spend hundreds of dollars every year on new plants to make our yard beautiful only to see them wither and die when the ground dries out. Maintaining a lush, healthy yard and nature strips adds to the appeal of your property and suburb. Sprinklers are there when the rain is not. Installing a well-designed sprinkler system means you don’t have to worry what the weather is doing. Your garden will be getting just the right amount of water all year round. So there you have it! 5 great reasons to invest in installing a well-designed garden sprinkler system and enjoy your yard at its best. What’s more at Designer Watering Systems we have everything to get you started from sprinkler kits to pipe and even a garden sprinkler layout design service. So what are you waiting for? Browse our online store, give us a call on (07) 32795600, email us: [email protected] or call in and see us to get your sprinkler project underway.